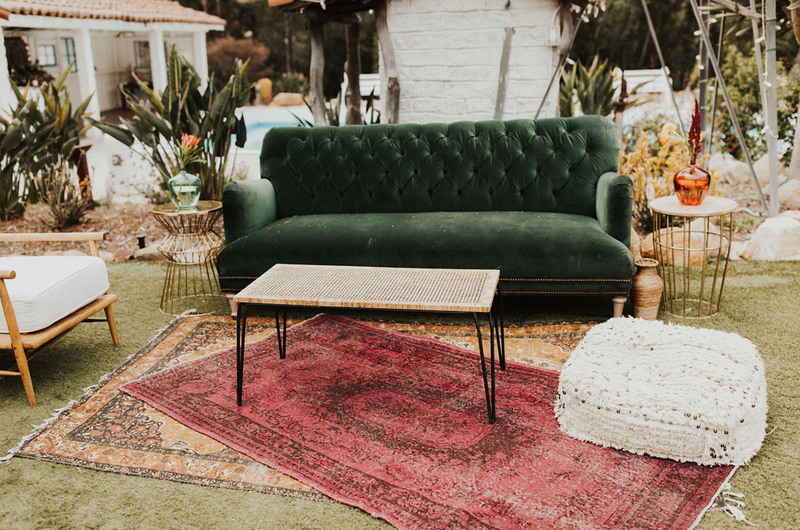 Have you been eyeing yellow hues recently? 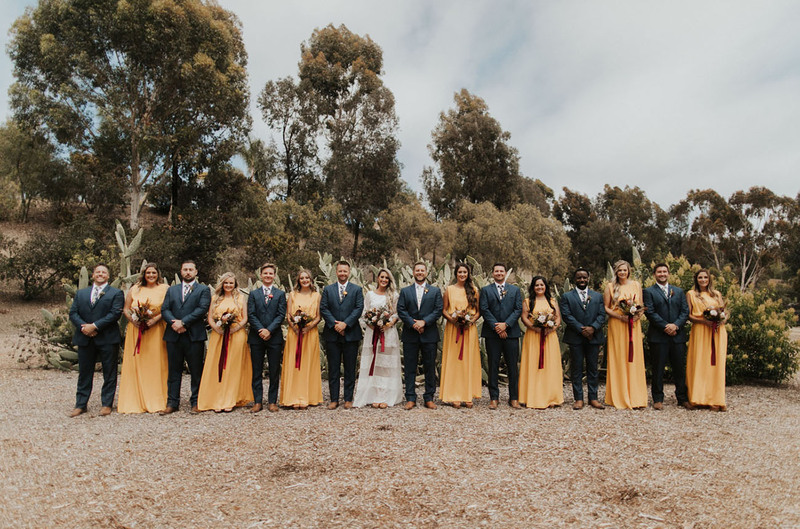 Lately we’ve found ourselves crushing on mustard (the color, not the condiment), and when we saw this ‘70s-inspired wedding brimming with all the yellow details, our hearts went pitter-patter. 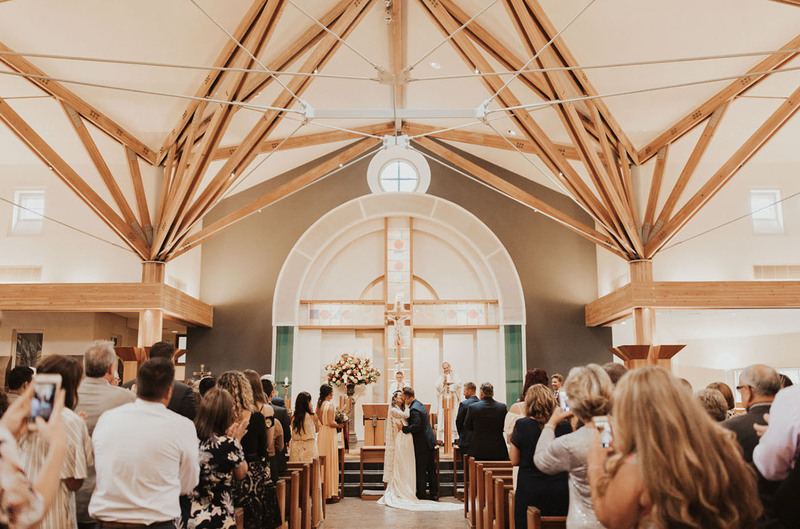 Nichole + Josh were to be married in a Catholic Church, but the venue reception changed over three times! 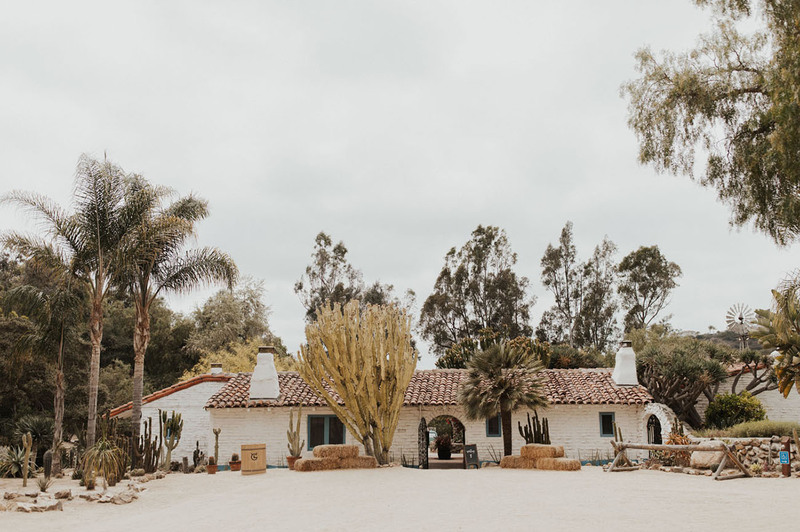 It was when she discovered the Leo Carrillo Ranch in Carlsbad that she knew her vintage-inspired wedding with a boho twist would be seen to fruition. 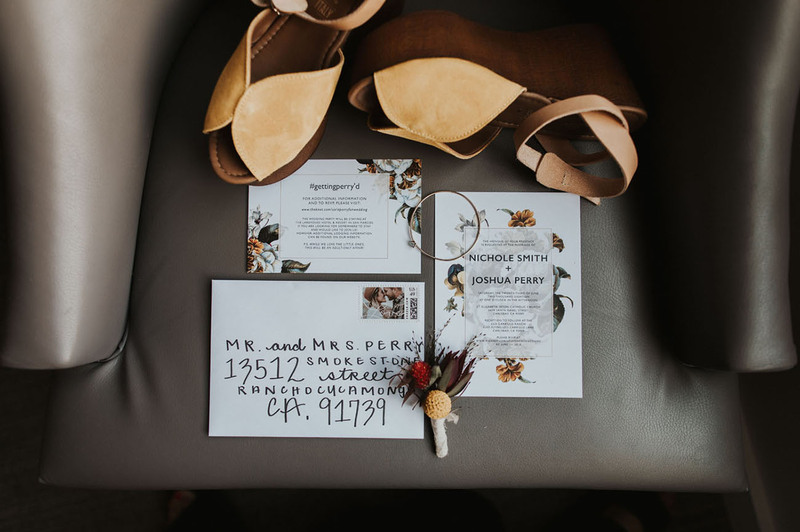 She tells us: When planning my wedding I knew I wanted to incorporate a ‘70s mustard and maroon vibe. 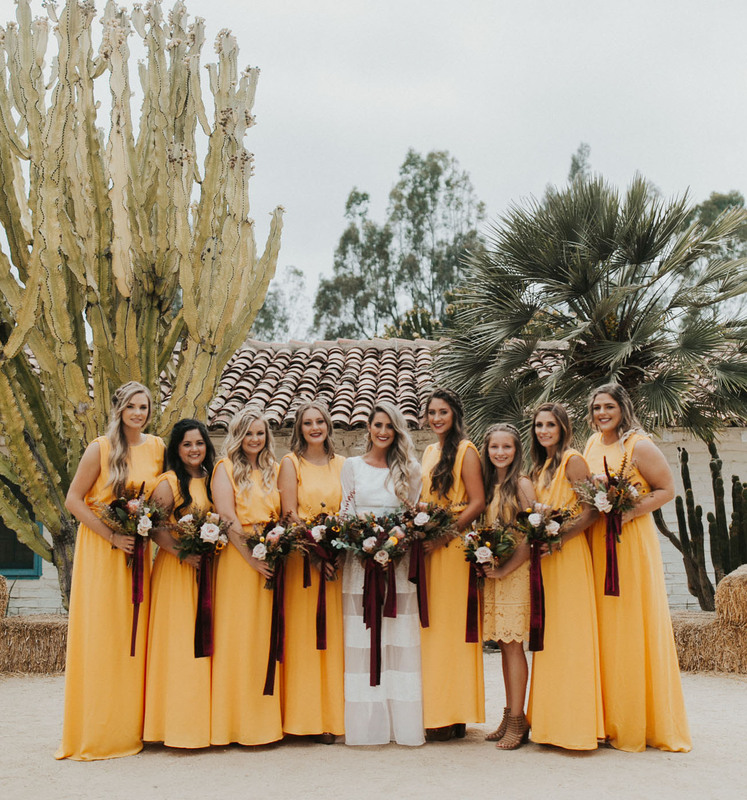 I had seen the mustard palette utilized on various blogs; however, I felt it was too “sunflowers/sunshine” and I was looking for more of a vintage vibe. 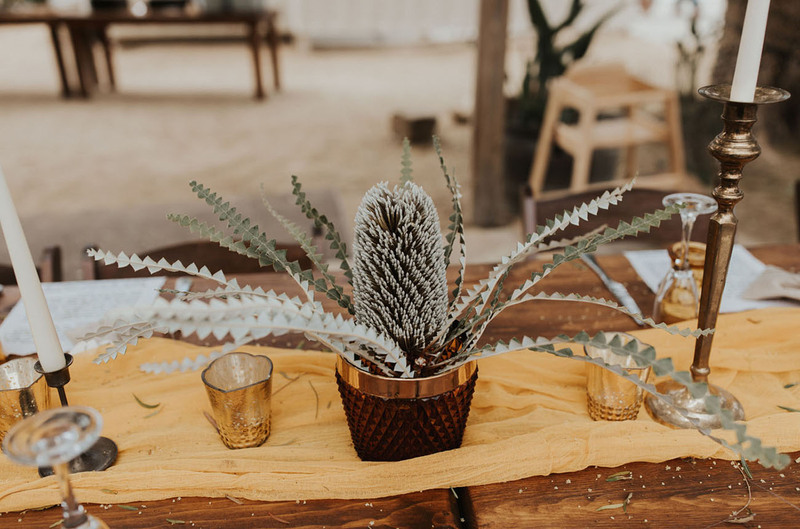 My florist, Amy of The Flower Shop was such a blessing in ensuring the flowers brought my vision to life. 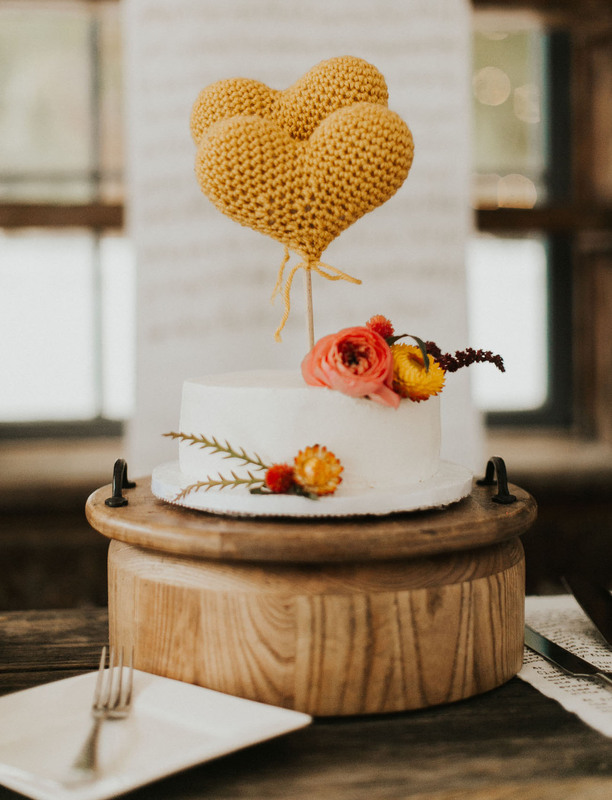 Amy even incorporated Craspedia Billy Balls which are my absolute FAVORITE. 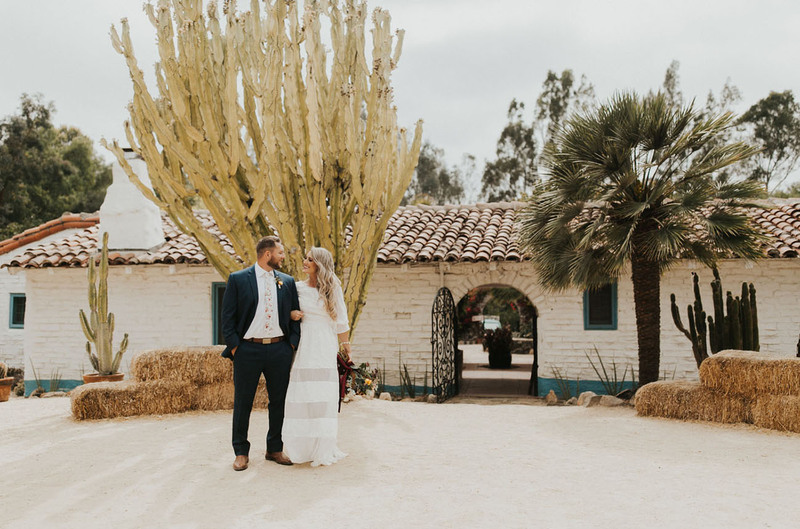 Let’s take a peek at how they transformed the space and added touches of DIY in the photos snapped by Jaicee Morgan! 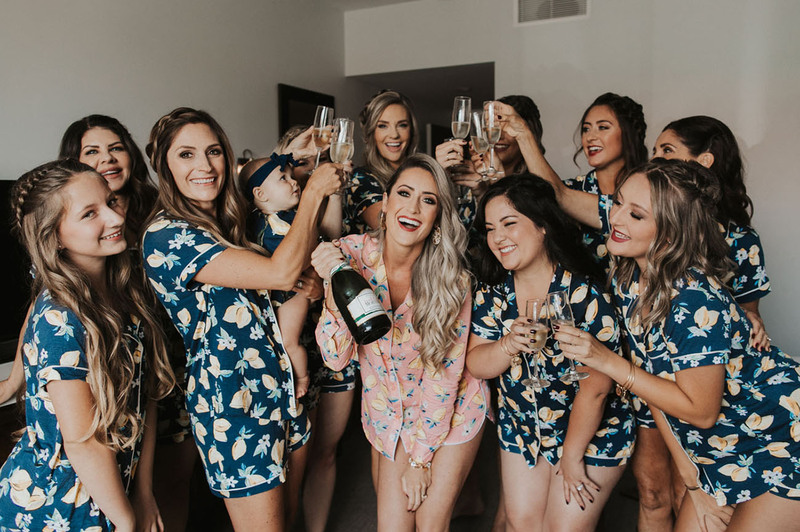 The bridesmaid gowns weren’t from your typical bridal store. 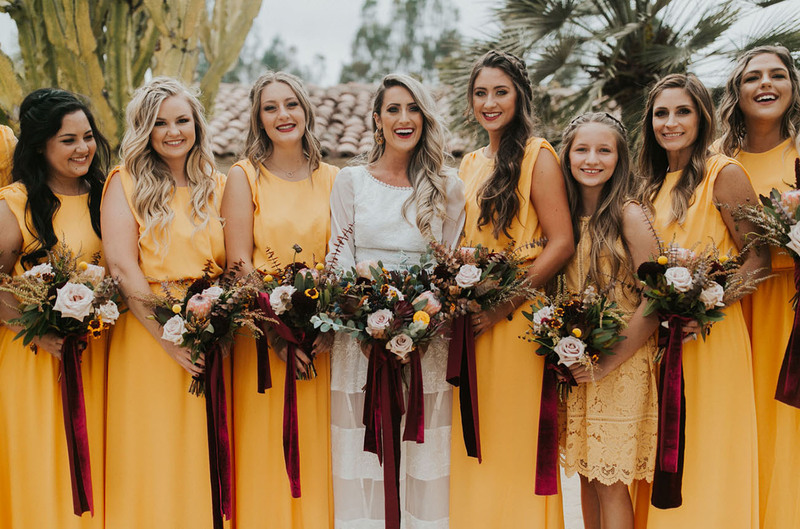 I wanted to keep costs low for my ladies (since I am a firm believer the NO ONE ever wears their dress again) so I found a mustard dress on ASOS for roughly $75 and had every gal order her own dress! 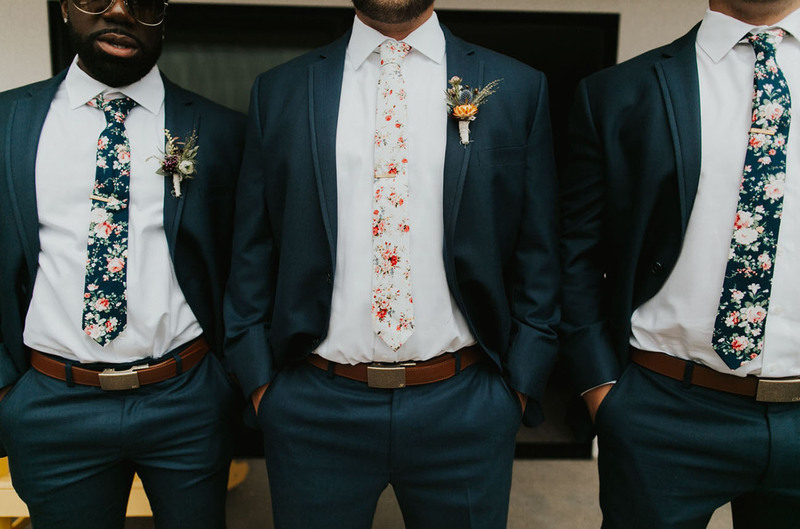 We LOVE a good floral tie! You too? 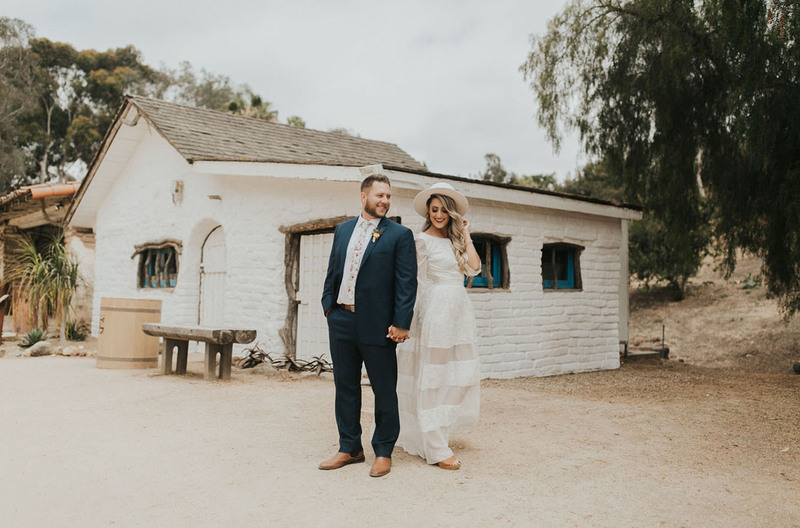 Take a peek at our GWS x Neck and Tie Co. designs here! To incorporate Josh’s love for golf, he ordered NexBelt’s for his groomsmen, personalized with their initials. 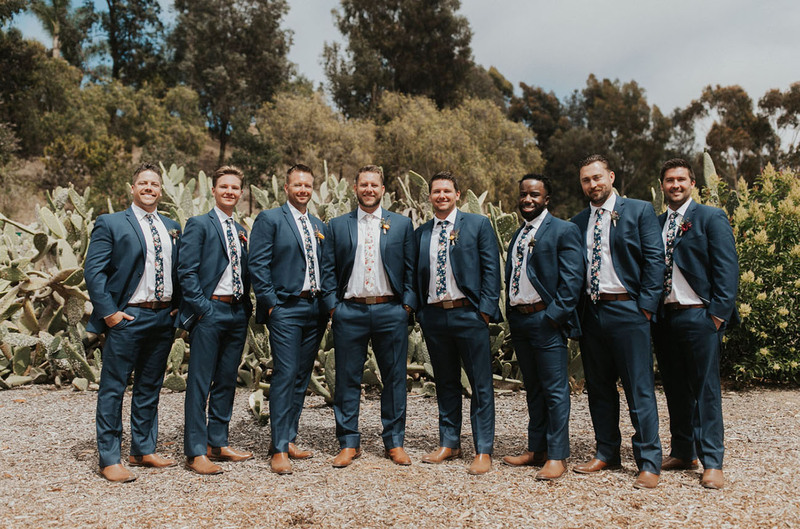 These belts worked perfectly because they come vintage gold-plated, which matched the groomsmen’s gold tie clips. 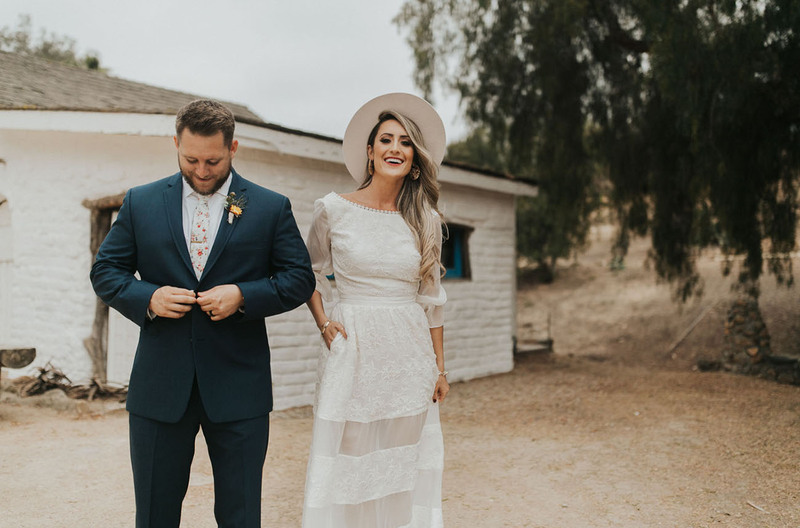 I was blessed with the opportunity to wear my grandmother’s 1940’s vintage wedding dress for the ceremony. It was the same dress my mother also wore when she married my father in the eighties. Due to the size of the train and the weight of my grandmother’s dress, I changed into a more reception appropriate dress after the ceremony. 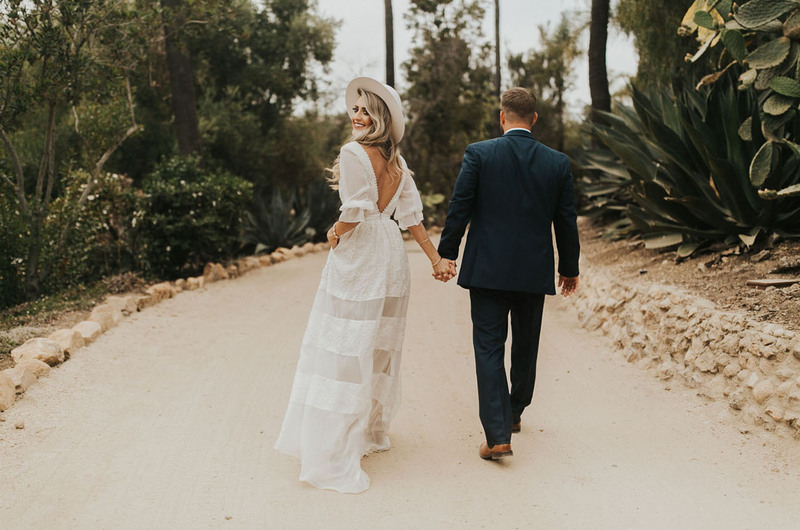 Nichole’s second dress was a Dreamers and Lovers creation. 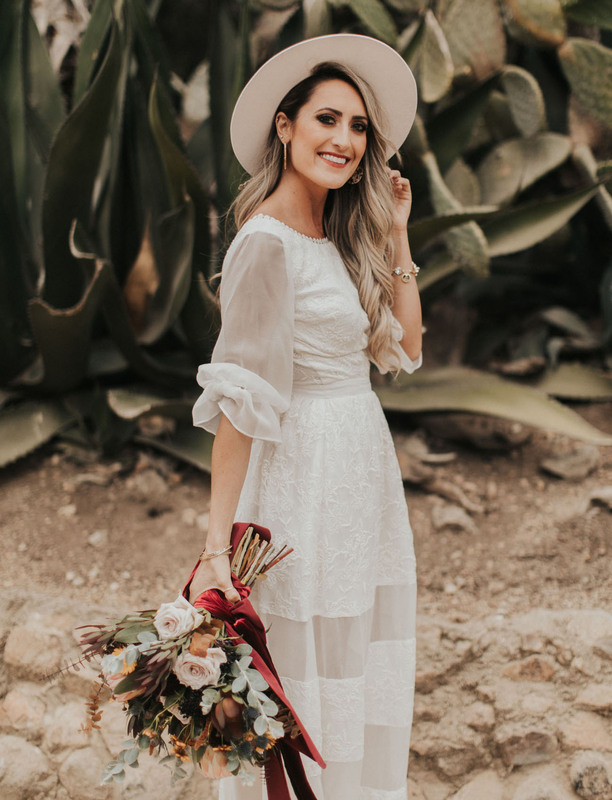 She then added a white Brixton hat basically bridal hats—YES!! 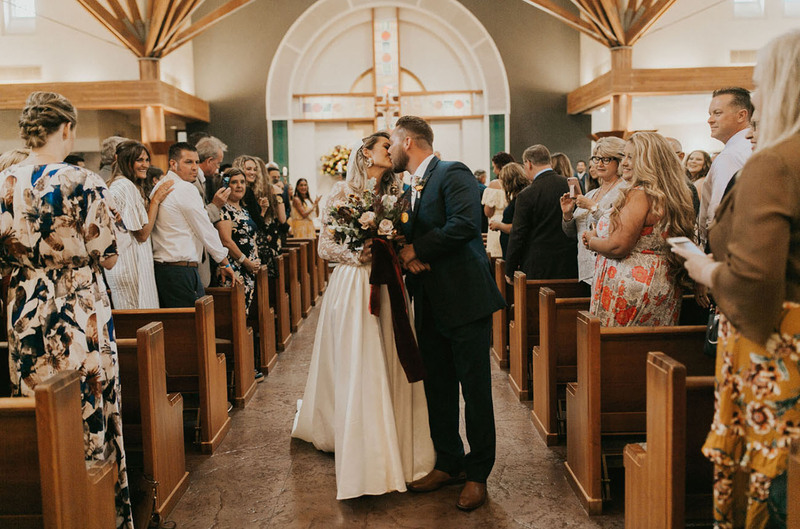 OBSESSED with the back of that dress! 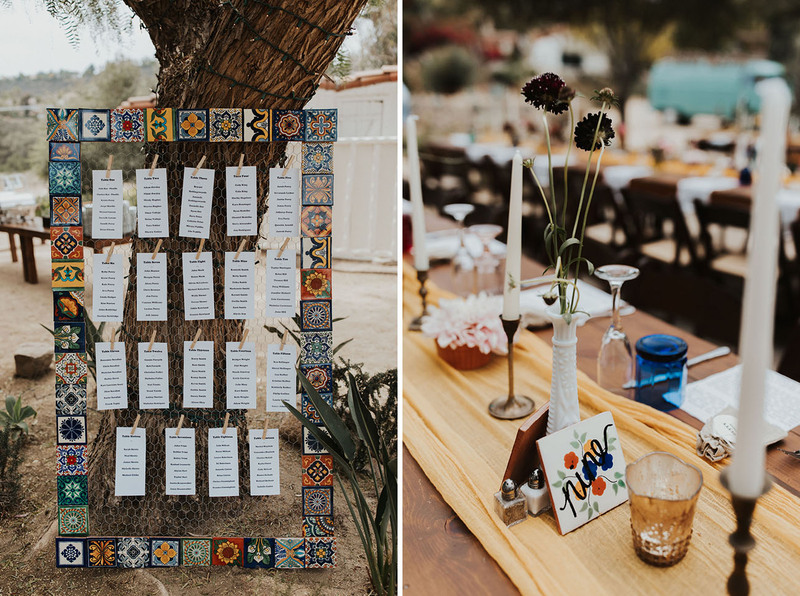 Nichole ordered about one-hundred Mexican Terracotta tiles and hand wrote the table numbers on the tiles. Joshua then utilized the remaining tiles when building the seating chart board. 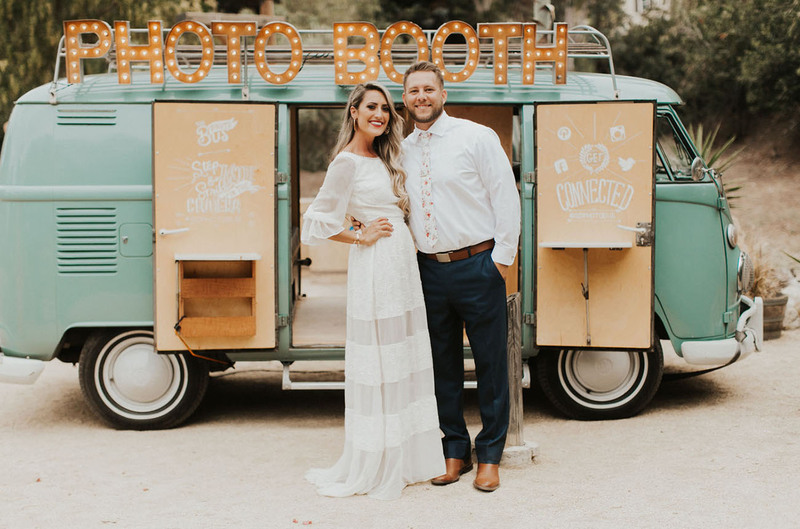 Isn’t this adorable for a fun + fresh DIY? 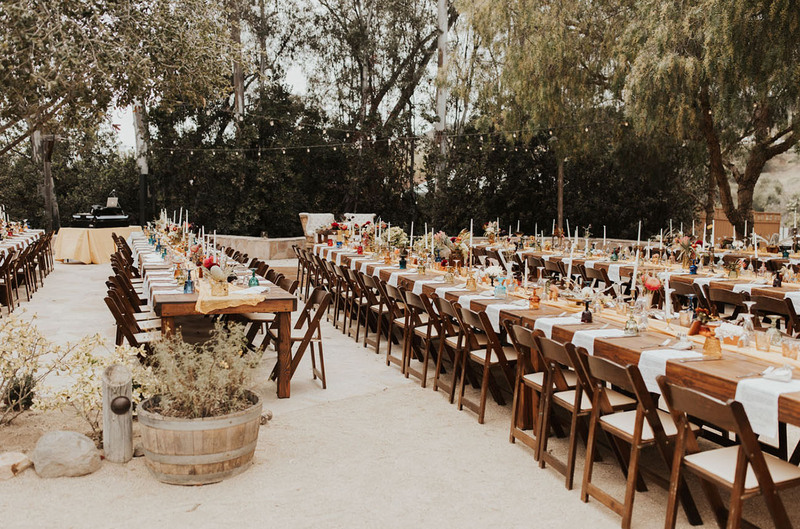 The tables were stacked with an array of vintage cups, candlesticks, cake plates, and goblets from Folklore Event Rentals. I came across a journal entry my grandfather had written the day after he married my grandmother all about their wedding. I knew I had to incorporate these sweet words somehow. I purchased four large linen drapes from IKEA. My mother spent many evenings cutting the drapes into rectangles which would be used as napkins for the guest. 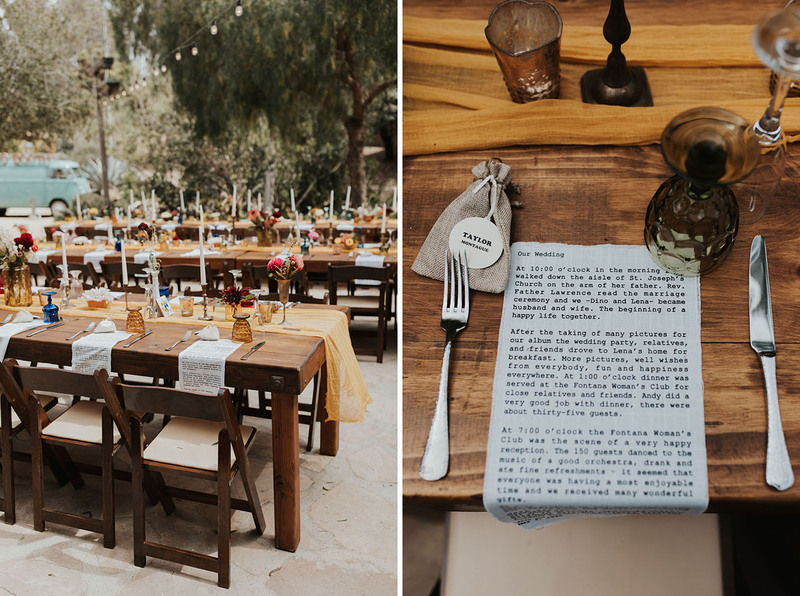 I then had the journal entry screen printed on each rectangle napkin. I made sure to use a font that was in line with our ’70s retro vibe. The napkins were almost too beautiful to use but the guest loved the personal touch. 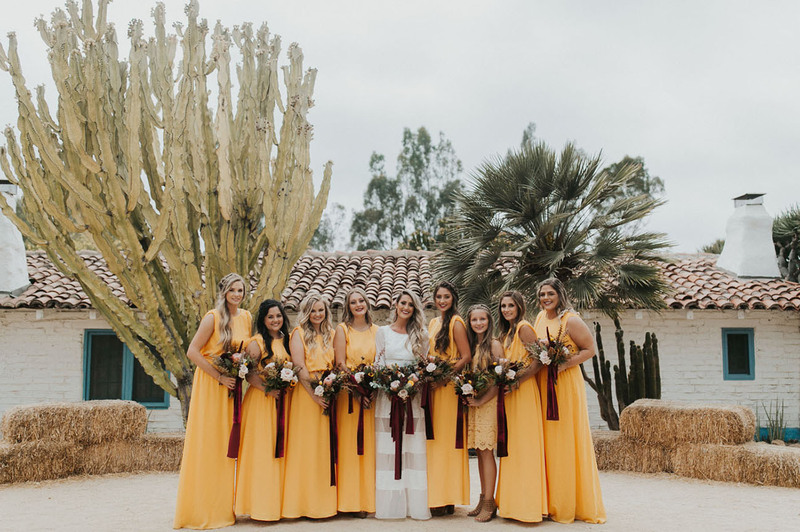 At first, I thought about ordering mustard cheesecloth table runners; however, I quickly did the math and figured out it would be a lot cheaper if we dyed the table runners ourselves! 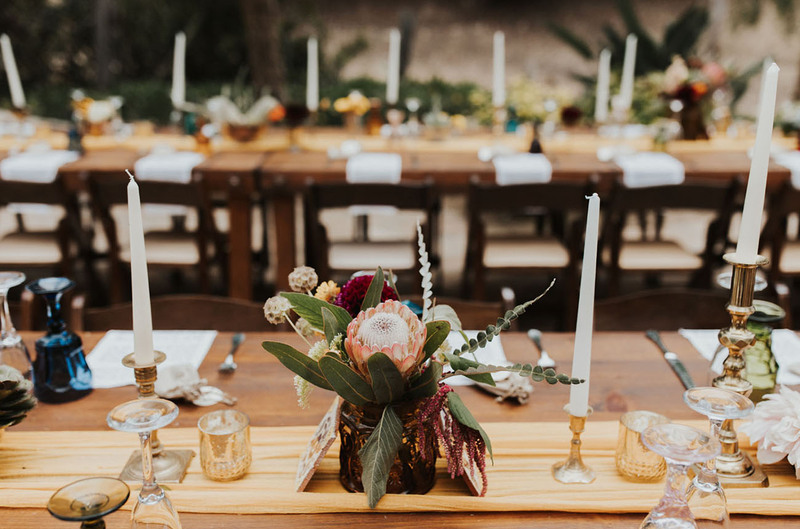 I order the cheesecloth from a local fabric store, cut the desired lengths, and using good ol’ RIT dye, we created beautiful mustard colored table runners! DIY Tip: We needed double the amount of dye we originally thought we would need to achieve the deeper yellow color I was going for. Consider ordering double. 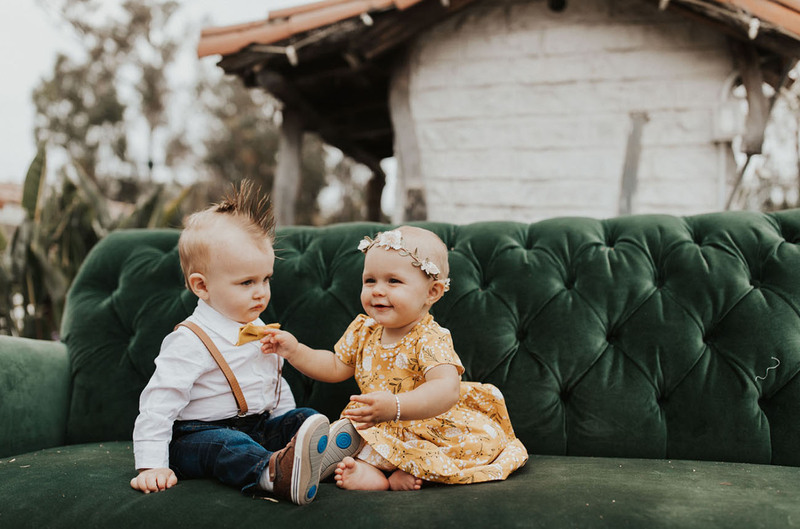 Um, how cute are these two?! And that mohawk!! Sweet + seventies. Oh and this adorable cake? It’s the creation of Personal Touch Dining. And sweet video above by Nathan Miller Video! 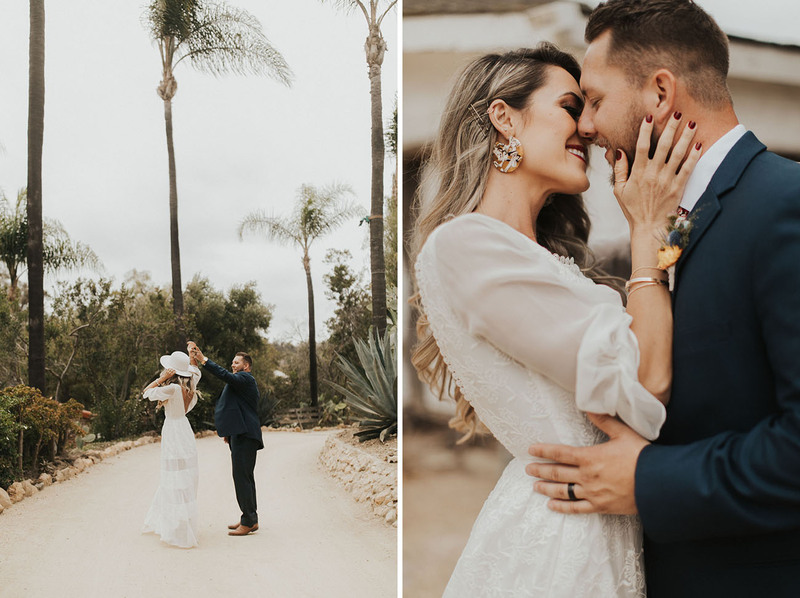 Awesome wedding pictures. Thumbs up to the photographer. You did a great job. You have captured every moment very carefully. I’m also a professional photographer and I know the effort of a photographer to take beat photographs. Wow the colours in these images just amazing !